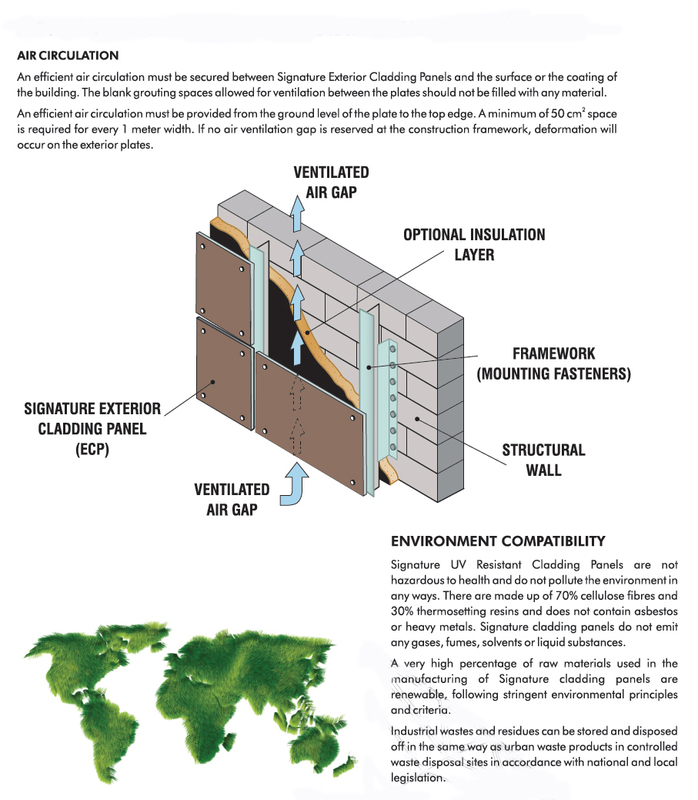 Signature UV Resistant Exterior Cladding Panels (ECP) is brought to you by Signature Laminates Pvt. 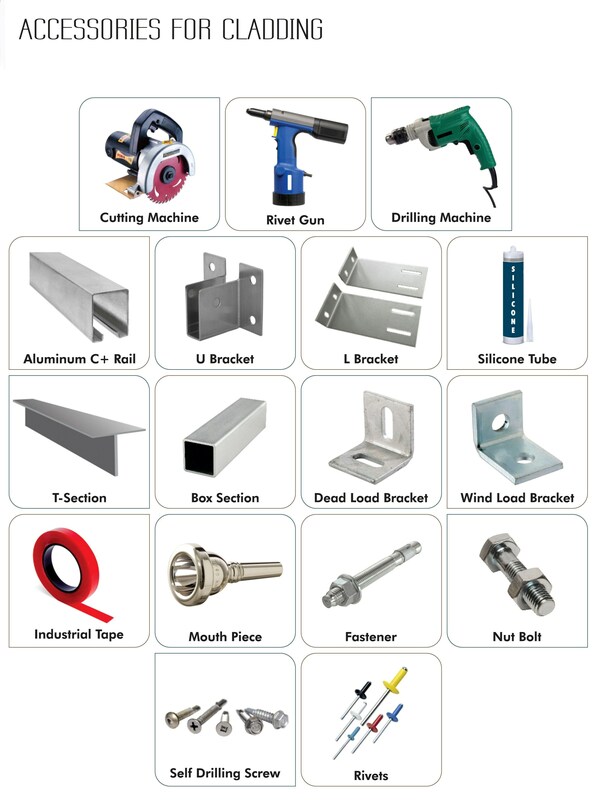 Ltd. one of the leading manufacturers of High Pressure Laminates. This Sturdy architectural panel is ideally suited for exterior cladding of ventilated facedes & balconies apart from a host of other exterior applications. 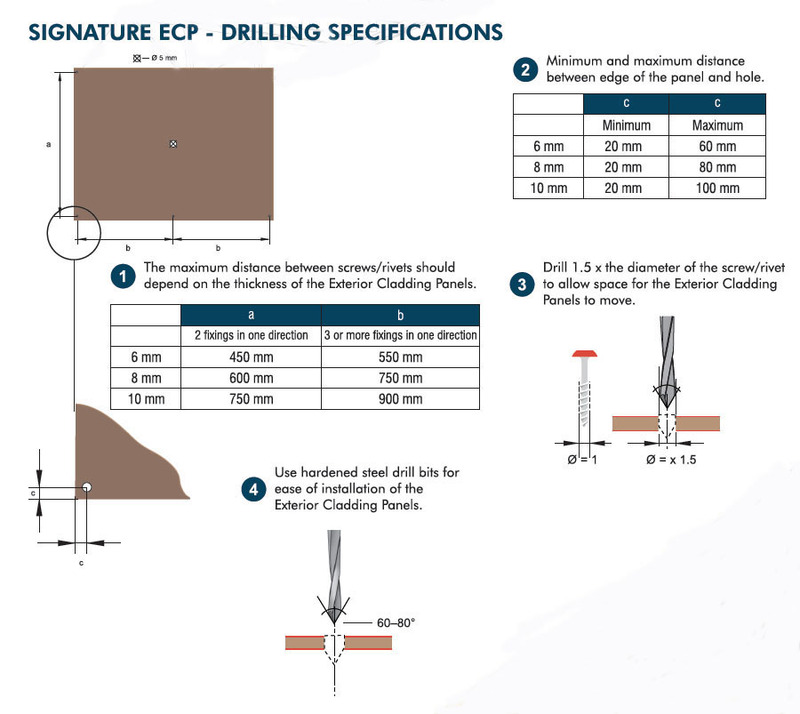 The Signature ECP is a homogenous panel with a high UV surface protection for external use. It is weather resistant. Does not warp. No fading or aging. Signature ECP has been tested and certified for its UV resistance as per EN 438-2 by a leading Test House in Germany. 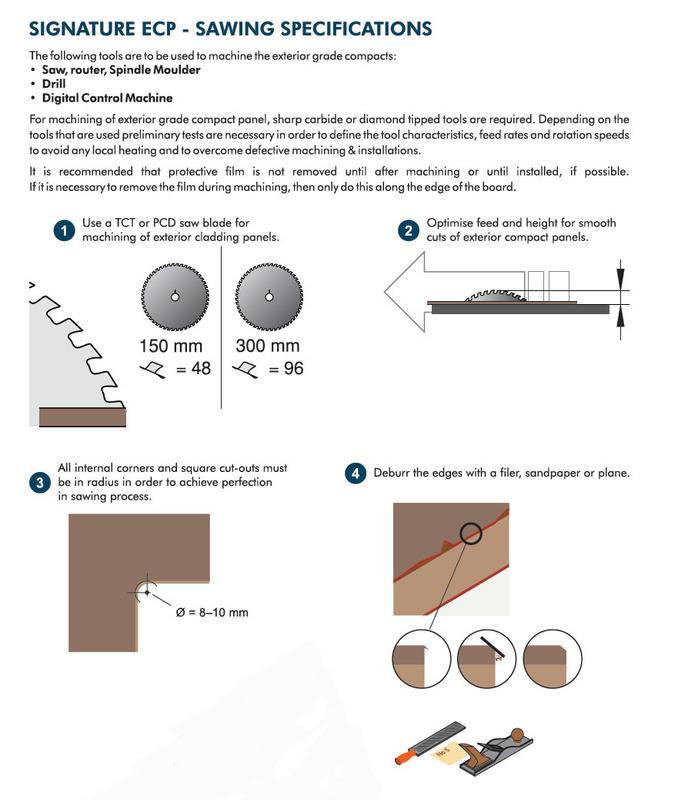 Available in size 2440 x 1220 mm x 6.0 mm thickness. 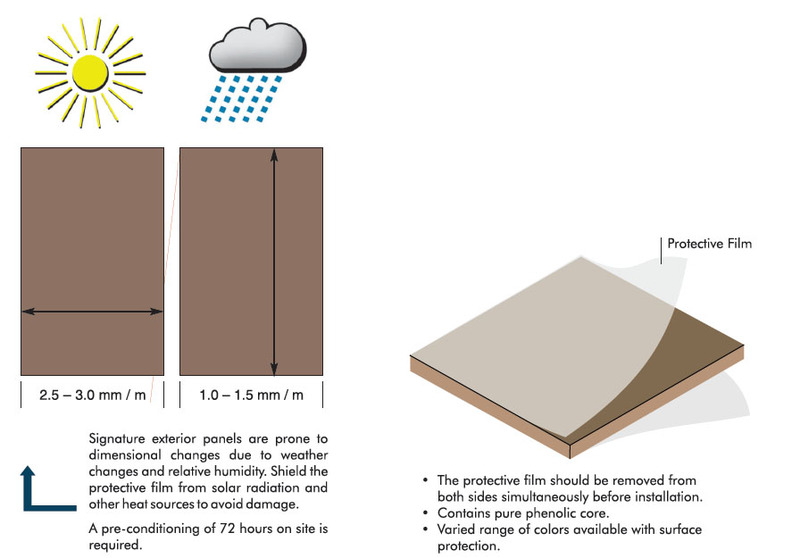 Recommended applications of SIGNATURE EXTERIOR UV Resistant Cladding Panels. External cladding of commercial or residential buildings. Fences, Balcony Railing & Compound Wall Railing. Knock down shops, offices, cabins. 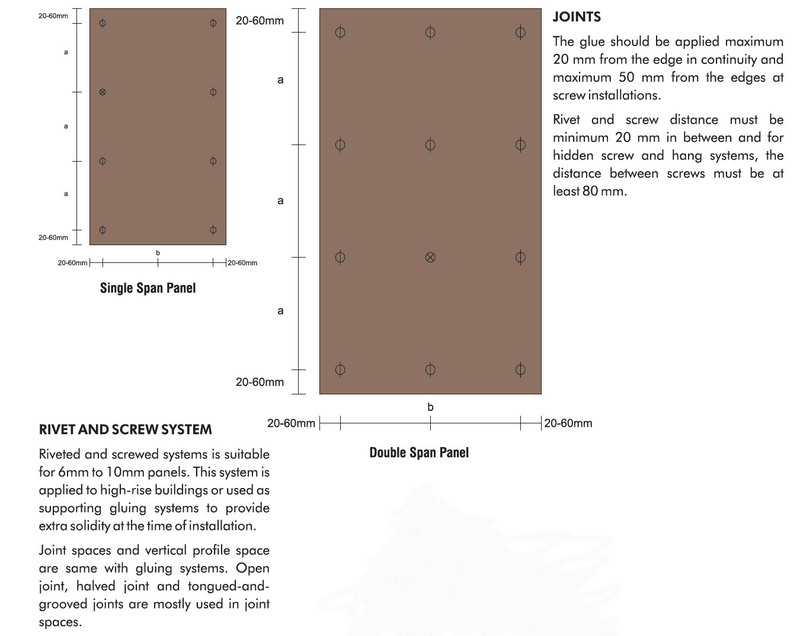 External walls in prefabricated buildings. External Cladding for Shopping malls, Multiplexes, Schools, Stadiums, Theatres, Auditoriums, etc. 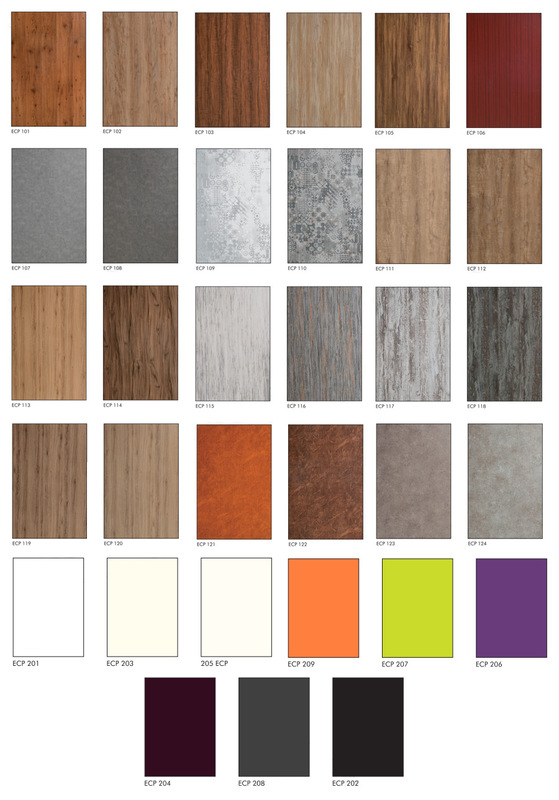 Signature Exterior Cladding Panels are offered in a selected range of Solids, Wood Effects. Abstracts, Stone effects, etc. The product offers abundant scope for Colour combinations adding aesthetics to the building. We can also offer a wide range of unique & exciting Texture Effects (against confirmed orders) to give an appealing look to your exteriors. 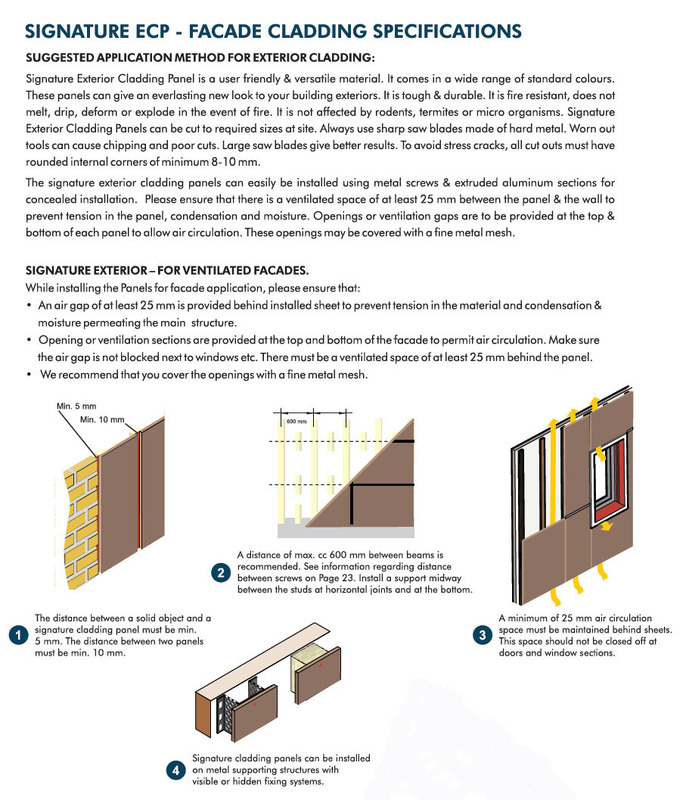 Unique Advantages of SIGNATURE EXTERIOR UV Resistant Cladding Panels. No colour fading.Weather, Water, Moisture, Heat & Fire Resistant. Does not melt or drip in the event of fire. Does not need edge banding. No asbestos or metal contents in the composition of material. Easy to install & Easy to dismantle. Strong, Self-supporting, Durable and Long lasting. Signature UV Resistant Exterior Cladding Panel has been tested for its UV Resistance Properties by a leading German Test House and certified its conformity to EN 438-2. 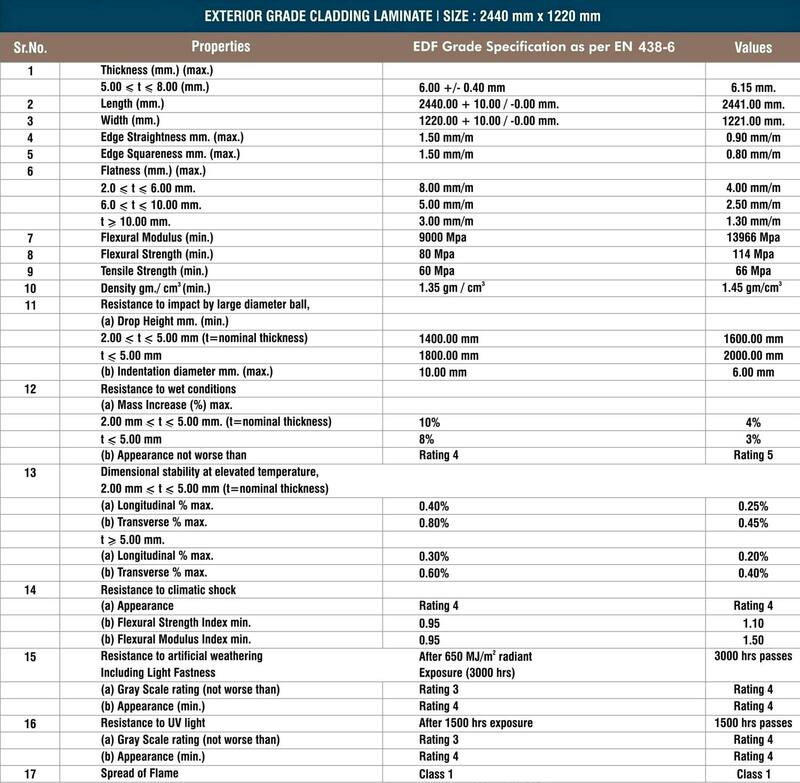 The life span of sturdy, weather & UV resistant Signature Exterior Cladding Panel is expected to last more than 10 years under most severe climatic conditions. Does not deform. No fading or aging. STORAGE & HANDLING OF COMPACT PANELS. The Cladding Panels are to be stored horizontally. Vertical storing for longer periods can deform the sheets as deformation can take place. We recommend flat stable thick boards to be placed at the top & bottom of the stack. The storage area should have proper ventilation & should be free from water, dirt & moisture. In order to avoid any surface damages, please ensure the surface of panel is free from any foreign particles. While loading & unloading, never push or drag the panel as it may damage the design surface. The panels should always be lifted by hand. 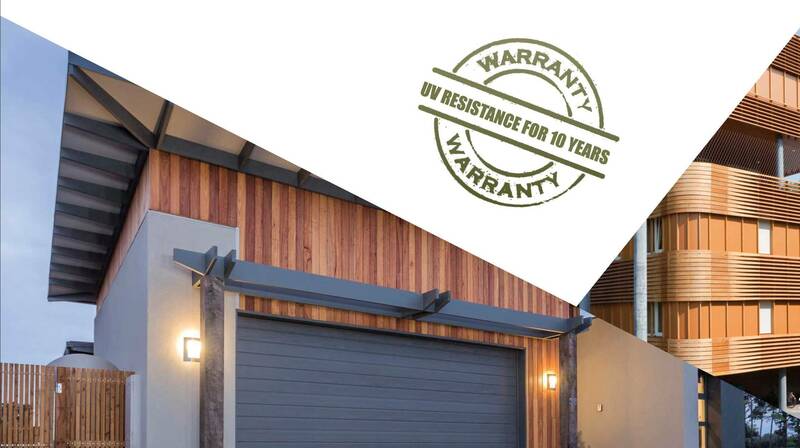 Signature warrants the quality of its products within the scope of the values indicated in this brochure. 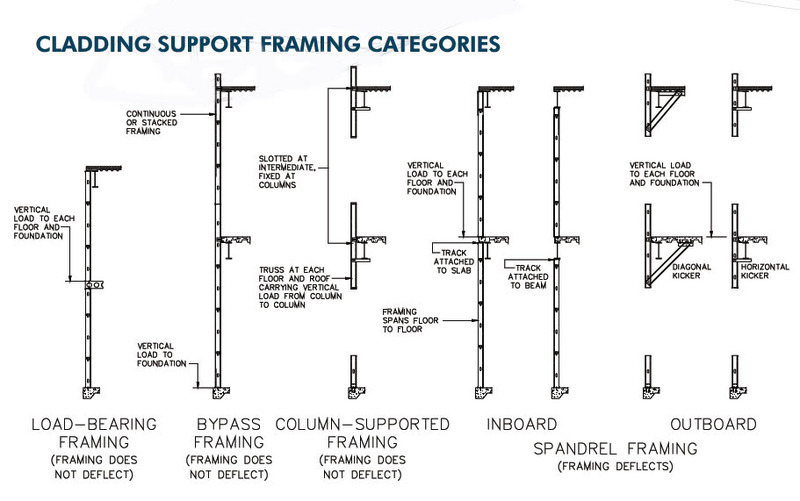 Signature is not liable for any defects in the working or processing of the substrate or installation as we cannot control the installation work. Installation Contractors should follow the necessary building regulations. The Installation Contractors should ensure suitability of the material for the intended application. In the event of any claim, the company's liability will be limited to the extent of the value of the panel.